Mark & I have been working together for over 20 years. A friend and a true craftsman who I can always trust to do top quality work. We have worked with Mark Ryun and Coastal Wood Floors, LLC for many years on a variety of high-end projects. Mark is very knowledgeable, he is reliable, and the result of his work reflects his dedication to the industry and to his clients. 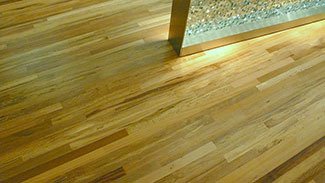 When we think of wood floors, we think of Mark Ryun and Coastal Wood Floors. We highly recommend Mark and we continue to use him on our projects. Mark is a consummate designer and artisan of wood floors; his firm has completed projects in oak, maple, andiroba, koa, walnut and a myriad of other tropical woods with stellar results in very tricky and complex projects with unreasonable deadlines. And each time the result has exceeded everyone’s expectations – from Owners, Architects, Designers and Contractors. There is no better wood artisan anywhere in the State of Hawaii. Our Clients We Have Worked With!